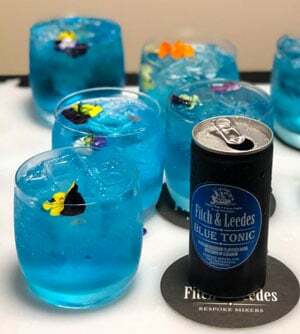 Fitch & Leedes Blue Tonic from Chill Beverages International is the latest variant of its popular brand of craft tonics and other mixers to hit the shelves. “Fitch & Leedes understands that drinking a G&T or cocktail is not only about great taste but should be pleasing to all the senses, treating true blue aficionados to a feast for the eye, nose and palate,” goes the press release. 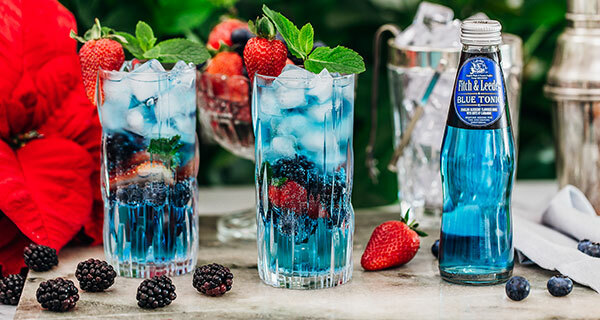 “Whiffs of juicy blueberry and hints of cardamom entice, while the vivid blue colour adds a captivating twist to every gin or vodka cocktail. “Priding itself as the understudy to greatness, Fitch & Leedes tonics accentuate the botanical character and subtle notes of premium gins and spirits. “The captivating Blue Tonic is delicately carbonated and finely balanced to ensure the best taste representation of what was intended by the master distiller. “This noble blue tonic goes down smoothly when paired with juniper forward, citrus infused or floral gins. It also stands tall when paired with vodka, especially the wide selection of fruit infused vodkas. It sells at a RSP of R50 for a 6-pack of 200ml cans or R52 per 4-pack of 200ml glass bottles.